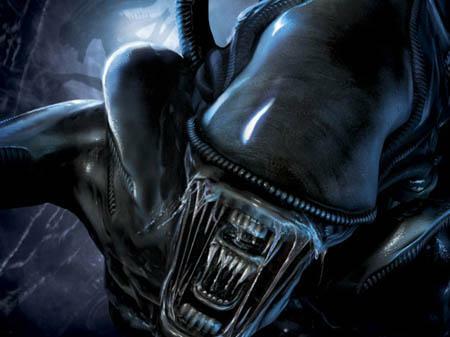 "Decapitation", "stabbing" and "spinal columns dangling"
Last Friday, Sega announced that its hotly anticipated Aliens Vs. Predator video game had been refused classification by the Classification Operations Board. This means that the game cannot be played by Australians in its current state (pending a possible appeal). We managed to get out hands on a copy of the Classification Board's Decision Report, which explains why the game was refused classification. While the listed reasons hold no major surprises, they do give an indication of just how violent the game will be -- at least, in territories where it passes classification. Curiously, the board seems to be particularly offended by eye-specific attacks, which are mentioned on several occasions. "[Aliens vs. Predator] contains violence that is high in impact and is therefore unsuitable for persons aged under 18 years to play. The game contains first-person perspective, close-up depictions of human characters being subjected to various types of violence, including explicit decapitation and dismemberment as well as locational damage such as stabbing through the chest, throat, mouth and eyes. Characters can be stabbed with a Predator's wrist blade or an Alien's tail in depictions reminiscent of impalement. The Predator collects 'trophies' by explicitly ripping off human heads, their spinal columns dangling from severed necks. Heads can be twisted completely around in order to break a character's neck. Eyes can be stabbed through or gouged, leaving empty, bloody eye sockets. It is noted that a player is able to combine manoeuvres in quick succession, which further increases impact; for example, a Predator can stab a character through both eyes with its wrist blade and then rip off their head, with spinal column still attached. Extensive post mortem damage, including decapitation and dismemberment, is also possible. Depictions of violence such as the above are accompanied by copious amounts of blood and gore, including ample wound detail and visible skeleton. In the opinion of the Board, the violence in the game causes a high playing impact due to its first-person, close-up perspective, conceptual nature and the level of explicit detail involved in the depictions. The game is therefore unsuitable for a minor to see or play and should be refused classification." Sega is currently investigating its options, including the possibility of an appeal.